KowCast Ep. 4 – Special Edition DC Comics Rebirth Roadshow Full Audio – Kow Cast! 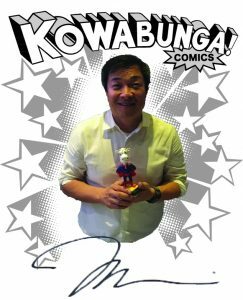 Your Kowabunga Comics Podcast. In this special edition of KowCast, we provide the raw audio from the DC Rebirth Roadshow in it’s full glory! Listen to Dan and Jim as they talk through the new Hanna Barbera books, DC’s Young Animal line led by My Chemical Romance front man Gerrard Way, and of course the DC Universe! You can follow us on Facebook @ www.facebook.com/incredicow, on Twitter @Incredicow or on the web at www.kowabungacomics.com.